This planned future museum will re-establish the vineyard and create a heritage museum on the grounds of the old Experiment Station near Montague. The rehabilitation of the four remaining structures on the site, and eight vines left growing wild on a trellis, will "seek to increase public knowledge of the heritage and history of Montague County by constructing a community vineyard for the production of wine, viticulture and research." 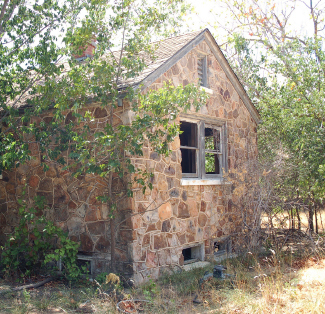 The Montague County Grape Experiment Station was established in 1937. When the grape industry began to decline in the 1940s and 1950s, the station turned its attention to peaches and apples. The station was closed in 1986 because of state budgetary constraints. While active, the Experiment Station and its horticulturist of 32 years, U.A. Randolph, helped develop the famous Ranger peach variety, which blossomed later than earlier varieties and provided an almost sure crop of peaches annually. He also helped to popularize the Holland variety apple, both fruits instrumental in the growth of Montague County's agriculture industry.